A 900 m long esplanade right on the Sarawak River bank in the middle of the city center . It is beautifully landscapped and dotted with wooden benches, food stalls, restaurants, restored Chinese pavillion, an observation tower, tea terraces and historical buildings. Taking a stroll along the walkway offers excellent views of the opposite river bank Malay houses on stilts. In the evening there is also a display of musical fountains. Opposite the Waterfront, is the oldest street in the city. This is the area where you can find the old Chinese architectural buildings. 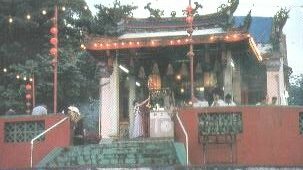 The ornately decorated Tua Pek Kong Chinese Temple is a super example built in 1843. 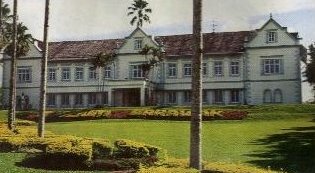 Opposite the Waterfront, at the other bank of Sarawak River, is the official resident of the Head of State of Sarawak. This palace is built during the Brooke's rule in 1870. Near to the Astana and build in 1879 during the Brooke's rule. 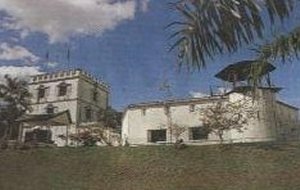 The Fort houses a Police Musuem exhibits Brooke militaria, weapons captured during the communist insurgency. Sit back, relax and enjoy the cruising along the picturesque Sarawak River's both banks. You can have the views of Astana, Fort Margherita, Square Tower, the 900 m Waterfront, Wet Market, Malay houses on stilts, and many more beautiful sceneries unique in Kuching. It has one of the best collections in South East Asia. There are exhibitions of marvellous wood carving, magnificient ethnographic collections, splendic Chinese ceramics, art gallery, Sarawak history, archaeological exhibits, early human settlements in Sarawak. 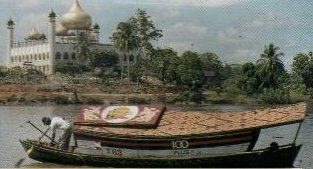 This landmark of Kuching offers the best all round views of Kuching and its surrounding area - Sarawak River, the city landscaping, roads, buildings, abundant greenery, and many more spectacular scenaries for nature lovers. This is the world's first Cat Museum devoted to all things feline.  A must for all cat lovers. You can find a huge displays of exhibits, history, photos, feline art, cat souvenirs. 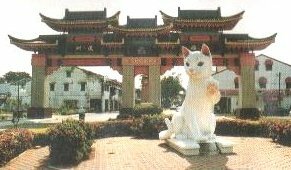 A monumental cat statue dedicated to the people of Kuching. Its white and graceful figure with an outstretched hand greets everyone from near and far. 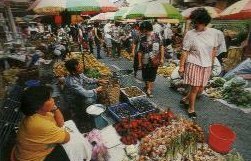 During festive seasons it is all dressed up in the traditional festival costumes symbolising the harmony existence of the different races of the Kuching Population.